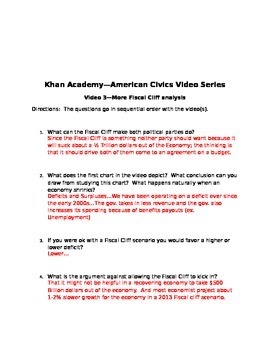 This file consists of two Khan Academy videos with questions on both Fiscal Cliff. 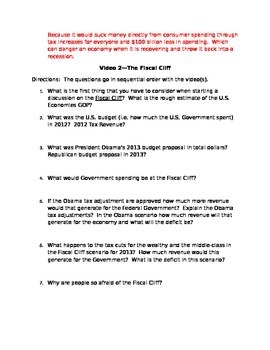 This assignment is good for upper level classes such as Civics, Govt., Political Science or Economics classes. 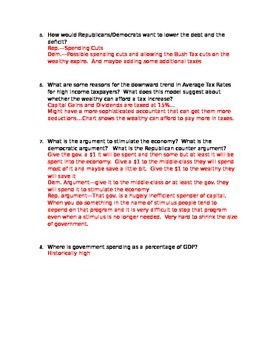 Junior and Senior level. 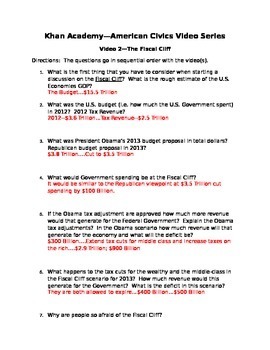 The questions go in sequential order and answer keys are included in both of these video guides ...The links to those videos are above.